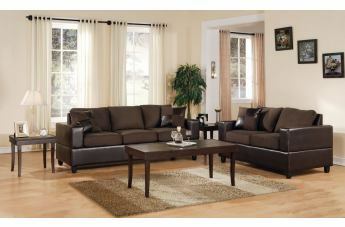 Make your family room cozy and inviting with the Monaco collection. 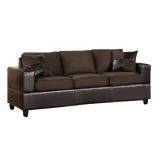 Matching sofa and loveseat have beautiful espresso and chocolate colored fabric, giving the pieces a rich, classic feel. Track arms and sturdy exposed legs are durable while matching accent pillows are stylish and chic. 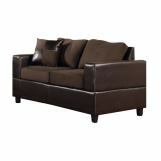 The comfy and ample seating makes this set a must-have!